Creates insights into your institution’s current and prospective student markets by analyzing the behavior-based and results-oriented data of former students. Provides software applications with which to manage these insights and to identify recruitment and retention opportunities. Reduces the time and expense of managing the top of the ‘funnel’ and transforms funnel management into cylinder management. Provides a data-driven, student relationship management system which simplifies Recruitment and Retention. Enhances meaningful collaboration among senior administrators regarding recruitment, retention, and net tuition revenue. Informs current recruitment strategy with past performance and enables data-driven pivots in strategy and market development. The institution can shape student markets rather than being shaped by its markets. Machine Learning creates a model of student success based on existing data from the students who graduated. Machine Learning evaluates the data and checks if it is correct based on the number of fields required and quality of data. If a model was created properly, application passes info to Machine Learning, including prospective and active students’ data. 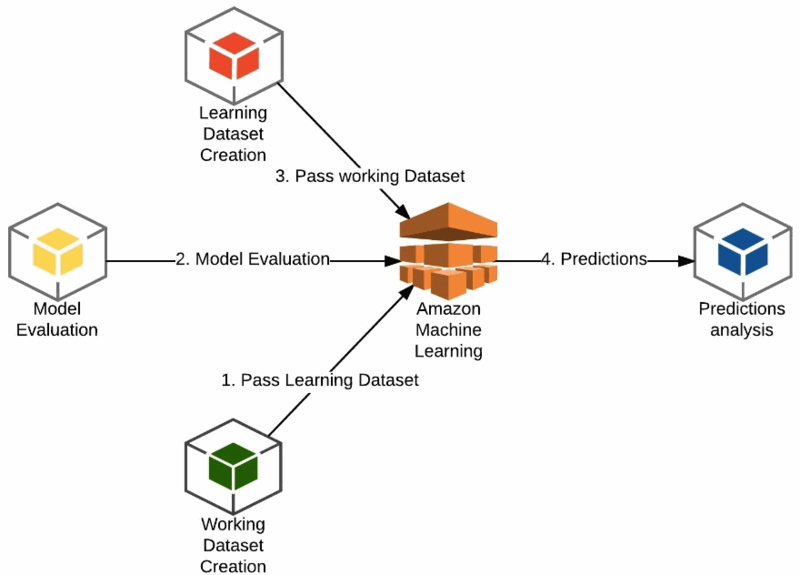 At the end of process the application retrieves data from Machine Learning predictions engine which is then analyzed and saved in the form of indices in a database. SeligoAI provides this complex and advanced technology to university staff with just the click of a button. Using auto-clustering functionality and the advanced student search resource, school staff can analyze a student in relation to school-determined groups based on various data points customized by the university. Move beyond the perfunctory enrollment workflows and create a recruitment and retention plan that makes sense for you. You’ve got the data already. Now you have SeligoAI. SeligoAI’s use of artificial intelligence and machine learning find important insights in your data. This dynamic combination results in illuminating visualizations of your data and guides your planning. How do I develop new student markets? Learn which zip codes represent underdeveloped student markets using SeligoAI’s demographics, geospatial displays, and student success analyses. Alumni, current students, and prospective students are displayed by student market. Plan for growth. Discover new zip codes which are comparable to your primary student markets. This nothing-like-it-on-the-market feature guides new market development. Spend your marketing budget more efficiently when developing new markets. What type of analytics do I use? Get to know your prospective students and current students using SeligoAI’s diverse set of analytics. Learn from individual and group outcomes-based and behavior based indices. Increase the probability of student success for all students. Interact with prospective and current students consistently by using SeligoAI’s Student Engagement system. Conduct innovative marketing campaigns for current and prospective students based on academic and co-curricular interests. Then view response rates from students, from student families, and from academic ecosystem partners using SeligoAI’s multi-channel communication resources. How can I target diverse student audiences? Support enrollment goals by academic department, and conduct diversified communication flows to multi-year cohorts. Review the extensive student datasets including those for Initial Choice of Major and Declared Major. Choose from potentially 200 plus data fields for each student. And enjoy learning more about your students! Use SeligoAI’s diverse set of analytics to guide the development of your Inquiry pool and to serve and advise current students. Select and serve diverse student sets. Then align your institution’s value proposition(s) with students’ interests before and after they arrive on campus. Students and academic communities offer each other “life time values”. How do I know which students are interested? Learn who is interested in your institution, and track students’ expressions of interest from Inquiry to Alumnus/na. Interact smartly with prospective and current students. SeligoAI welcomes and displays students’ digital visits, inquiries, and responses. SeligoAI’s individual and group traffic analyses and campaign management system are insightful. What advantages does SeligoAI’s Early Alert System provide? Launch student support initiatives prior to the beginning of classes! Gain insights from outcomes-based and behavior-based analyses and offer students skill-specific and knowledge-specific assistance before classes meet. Help students prepare for the transition to college and encourage them to persist semester to semester. Use the intra-campus messaging system, SeligoAI’s Report Exchange, to facilitate communication among faculty-staff support teams. Couple this with SeligoAI’s Student Engagement System to create meaningful exchanges between all participants in the intervention. What resources does the Student Success System utilize to support retention? Click on the Discover button and view all current students through an innovative display designed to afford convenient access to most salient information. Various types of analytics are visualized. Use SeligoAI’s Interactive Student Table to drill down on areas of interest and to discover ways in which retention staff can more effectively serve students’ interests. Engage students’ interests with SeligoAI’s Student Engagement and Campaign Management Systems to support academic ecosystems and internship opportunities. Assist and engage students in discussion about their academic pursuits and career interests. Is there more?! Why, yes! There is more! Contact us for an online presentation or on-campus visit.